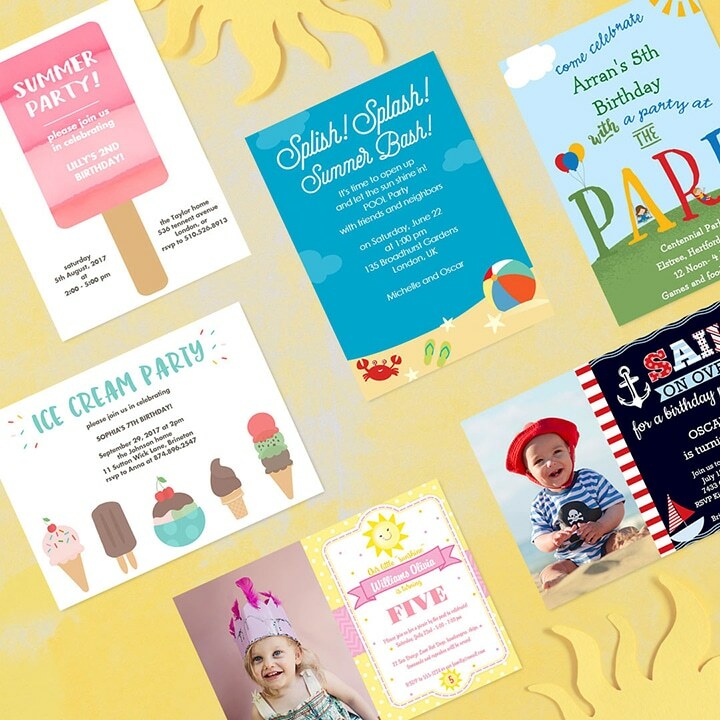 Send out your birthday invites in style with personalised Snapfish birthday invitations. Whether you’re turning 9 or 90, prefer classic designs or bright colourful creations, we have a design to suit you! Did you know, we now offer rounded corners on 8×4″ and 7×5″ flat cards! Just another way to personalise your summer party invitations. Don’t forget, when making your card you can also add images and extra text to the back of the card, as well as choose from a variety of colours and layouts. See a card you like? 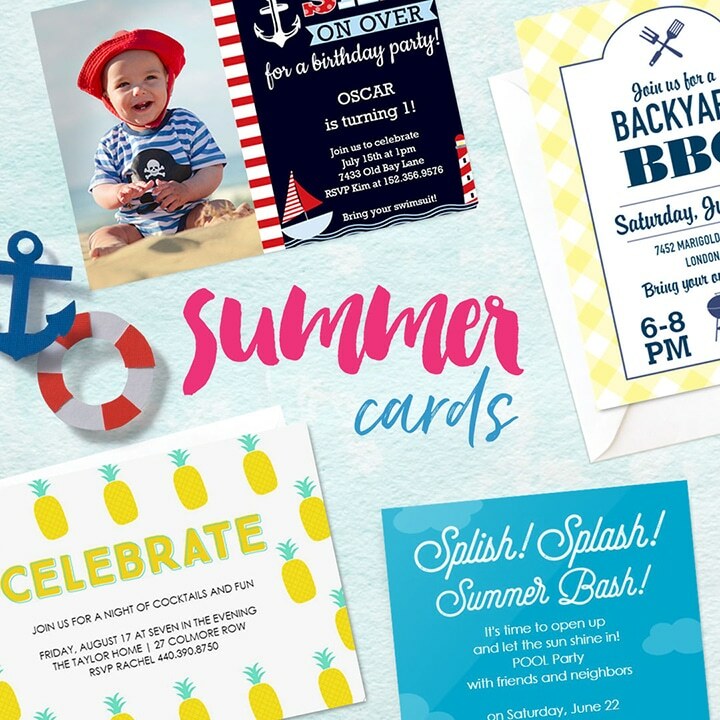 Shop our entire range of summer party invitations. 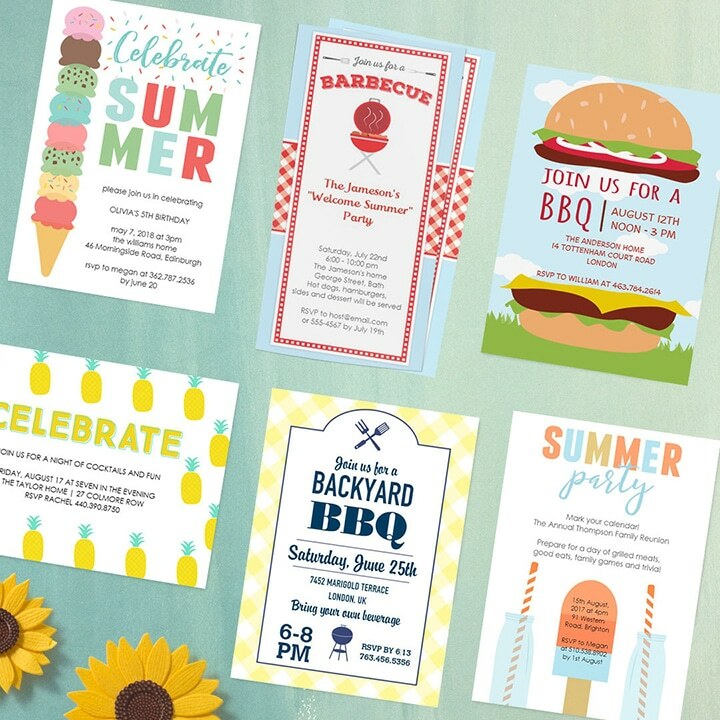 Tagged as BBQ, Inspirational, invitations, personalised cards, summer birthday, summer invites, top designs.